The Border Security Forces, Is Recruiting Eligible Indians To The Post Of Head Constable ( Radio Operator & Radio Mechanic) Under Direct & Departmental Recruitment In BSF Communication Setup. So Interested People Can Apply For This Job Of BSF Through Online Process, From 14th Of May, 2019, Onwards. 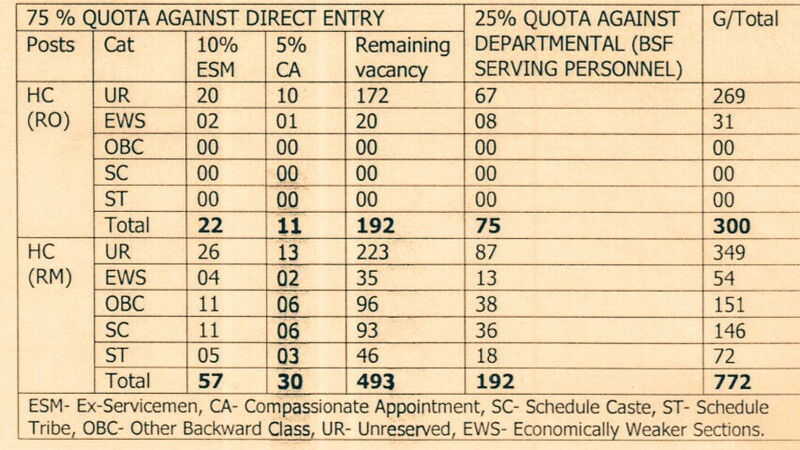 Total Number Of Vacancies →1,072 Online Vacancies, Kindly Do Check Out The Image Below For Vacancies Distribution. B. 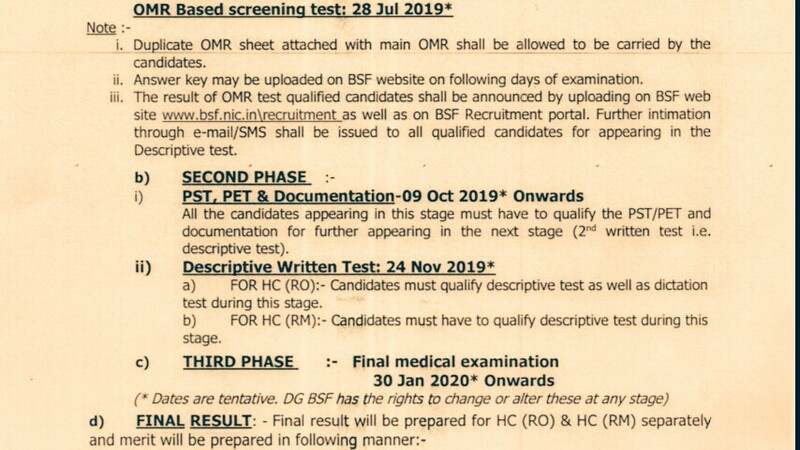 Eligible Criteria For Head Constable(Radio Operator/Radio Mechanic) Job Vacancy In BSF Recruitment 2019. Age Limit →18 To 25 Years As On 12th Of June, 2019. Educational Qualifications →,Matriculation With ITI Degree In Radio & Television. Mode Of Examination/Selection Processor →Physical Standard Test/Physical Efficiency Test/Documents Verification/Dictation Test/Medical Tests. Online Application/Examination Fee →₹100 For Unreserved Candidates & No Fee For Other Reserved Candidate. Last Date For Online Application Form Submission →12th Of June, 2019. Now Apply Online For Head Constable Job In Border Security Forces Recruitment 2019.